the caricature should be like the example (you can find enclosed) you already made. 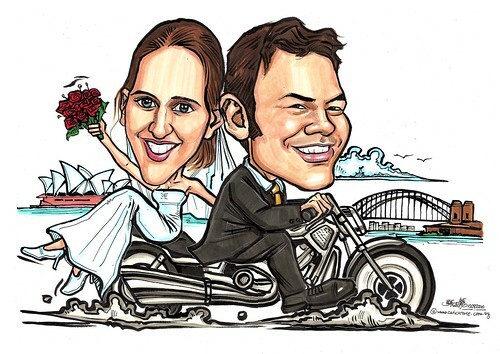 it should show us on a harley davidson in front of the opera and the harbour bridge in sydney." Some illustrations for "Know Your Monuments"..